Welcome home to this architectural masterpiece in the exclusive gated community of Strawberry Park. One can appreciate this 7-bedroom log estate with a main floor master, grand double-sided fireplace, sun-drenched patios, and an additional caretaker’s quarters. 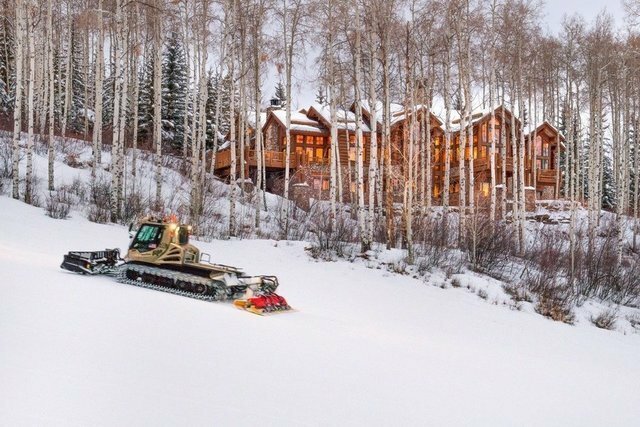 It's not very often that such a special property, situated on President Ford's ski run with grand views of the Gore Range, Beaver Creek Resort and Beaver Creek Village, becomes available. The epitome of a true mountain luxury estate.